My history with Type Moon’s Fate franchise is rather varied, having jumped into it with Prisma Illya, but over time I’ve come to quite like the franchise as whole. Coming into this year’s Scotland Loves Anime I was therefore pretty excited to see the latest chapter in the franchise: Fate/stay night: Heaven’s Feel I. presage flower. This is the first in a trilogy of films produced by Ufotable adapting the events of the final route of the original visual novel. If you’d like to know where this stands in the franchise, please read darkstorm’s Beginner’s Guide to the Fate Franchise, as it’s far too convoluted to go into too much detail in this review; however understand that each route focuses on Shirou Emiya’s relationship with a different heroine and the events of the story differ slightly between each one. 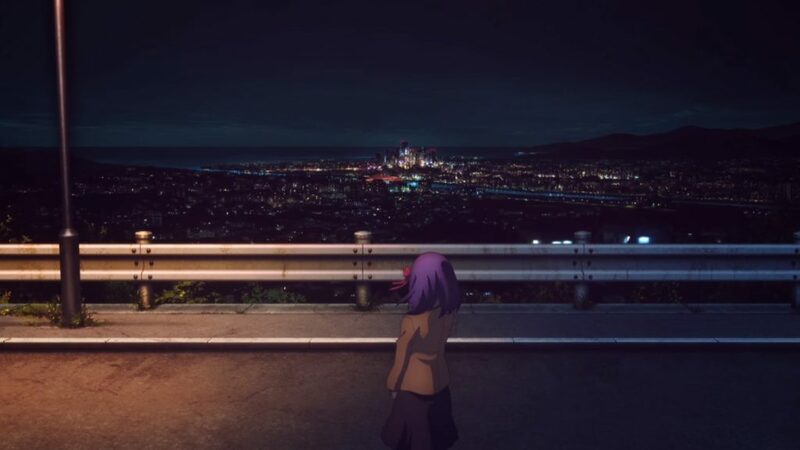 In Heaven’s Feel, the heroine is Sakura Matou, the younger sister of Shirou’s old archery rival Shinji. In the first part of the film we see her becoming close friends with Shirou as she helps him out around the house while he is recovering from an injury and becoming ever more ingrained in his life as the film sets her up to be a central character. 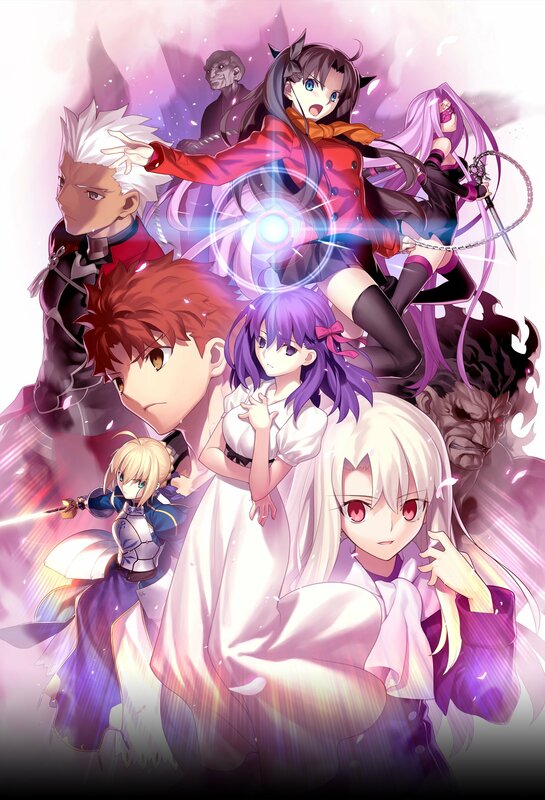 It comes off as a slow start; much slower than other adaptations in the Fate universe, and while it needs time to build Shinji’s jealousy of Shirou and some other main aspects of the plot, it feels like it takes too much time to do so. There’s this big catalytic moment that needs to be built up to, but this opening section drags on just a little too much that by the time it gets there you are eager for the story to move on. However, it then takes a big misstep and skips several big plot developments, just showing you glimpses of them in the opening credits. From the reactions at the screening this really turned a lot of people off and it is not hard to see why. The Fate franchise is a hard thing to get into in the first place and by skipping perhaps two of the most major plot points in the story it completely loses anyone who doesn’t know what’s going on. You’re clearly expected to know that Shirou gets fatally wounded and saved by Rin and her magic pendant; you’re expected to know how Shirou summons Saber; you’re expected to know what the Holy Grail War is about and how the Master-Servant relationship works; but it just glances past them as if they were nothing. For newcomers this is a huge deal breaker and sets up the movie for them as a confusing slog with some very well-animated fight scenes; and that’s a huge shame because if you do know what is going on, then the main meat of the film is really enjoyable. While at first it takes a similar direction to the likes of Unlimited Blade Works, showing Shirou’s introduction to the war’s overseer, priest Kirei Kotomine, and the initial confrontation with Illyasviel and Berserker, it decides to go off on its own path and presents the mysterious patriarch of the Matou family, Zouken, as the main villain. Zouken gives us something fresh and really ties the story surrounding the Matou family together, helping to explain Shinji’s twisted personality and giving some additional context as to why Sakura starts staying at Shirou’s place. He’s very much the driving force behind the plot at this point, manipulating everything to how he sees fit so he can take the grail and keep on living his creepy life. His ability to transform into a swarm of insects gives him not just a convenient way to escape tricky situations, but makes him a genuinely unsettling character, the like of which we haven’t really seen before. Put this together with the mysterious shadow that seemingly devours Servants and you’ve got one of the darkest entries in the franchise to date. With many of the scenes taking place at night, it really goes far to create this unsettling atmosphere and making that stand out on screen is another achievement by Ufotable, whose lavish animation continues to shine with things remaining unchanged from their outstanding work on Unlimited Blade Works. While it was hard to take everything in from just one sitting, those expecting spectacular fight scenes will not be disappointed as they use the general composition and digital effects to show every inch of the action, from swinging weapons around to unleashing powerful spells. Ufotable employ some talented animators and it was a pleasure to see their hard work on the big screen. It sounds great too, with some nice sound effects work and Yuki Kajiura’s familiar musical style providing a great accompaniment to the action. Coming out of the screening, I was highly impressed as this sets up an excellent precedent for the other two films. It feels very fresh with a lot more going on than in other works, and it really succeeds in opening up the universe to characters other than the popular quartet of Shirou/Saber/Rin/Archer. Some aspects of the story and some characters I was a bit unsure of as they were new introductions for me, so I’m hoping they are built upon enough to answer my questions in the later instalments, but having seen enough Fate now, I got where it was going. And therein lies the problem really – it relies too heavily on you having prior knowledge that it hurts its existence for those who don’t have it. So if you have not seen anything from the Fate series before, this will deliberately leave you out in the cold and I would heavily recommend you to go back and watch at least Unlimited Blade Works first, then come back for this. Otherwise if you are a fan, while this doesn’t quite reach the heights Unlimited Blade Works did so far, it is a very good entry in the Fate universe and one that is hard to miss. This review is based off the theatrical screening of Fate/stay night: Heaven’s Feel – I. presage flower at the Edinburgh Filmhouse during Scotland Loves Anime 2018. It is due to be released on home video by MVM Entertainment in 2019. With a chant of "Ai-katsu! ", Matthew Tinn spends their days filled with idol music and J-Pop. A somewhat frequent-ish visitor to Japan, they love writing and talking about anime, Japanese music and video games. A selection of five shorts, including an adorable if sinister spider girl and an over-the-top motor race from the creator of Gurren Lagann, offer a rare treat into some of Production I.G’s more obscure works.